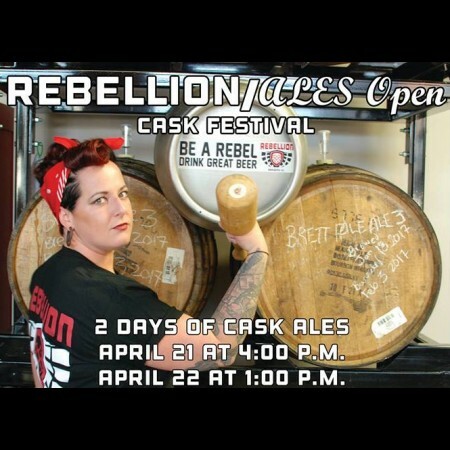 This year’s edition of the Cask Festival will take place at Rebellion (1901 Dewdney Ave, Regina) on April 21st and 22nd, featuring 13 cask ales from Saskatchewan breweries, 2 from Alberta, and one created in collaboration with members of renowned homebrewing group the ALES Club. – A free screening of FUBAR: The Movie at Rebellion Brewing on Wednesday April 19 as part of National Film Day. – Several other events and beer launches, including the launch of Multi-Grain Pale Ale, the first collaboration beer from the 13 members of the Saskatchewan Craft Brewers Association. For more details, see the Rebellion Brewing Facebook page.